Before the show floor opens for InterDrone, we got to sit in on several drone training sessions. our favorite was the Drone Videography training class. A major focus of the videography class was on how to fly, not so much on the cameras and software. We’ll see events later in the week to talk about drone video software. Hosted by Douglas Spotted Eagle, whom we’ve spoken to with Yuneec at previous conventions. He brings to the class years of flight experience, and many crashes, to hone his skills and learn new flight techniques. Before taking off, Douglas covered the importance of laws and airspace. Remember, if you are being paid to fly, including receiving compensation of any means for the collected photos or videos, you need to be Part 107 licensed. Consider filing a NOTAM at 1800wxbrief.com. This is in addition task above and beyond FAA waivers and airspace authorization, as well as in addition to ensuring you have permission to launch and land from the property. A NOTAM is a notice that goes out to other pilots to let them know your operation. Remember, Google Earth, Skyward.io and AirMap are great resources to identify and plan your workspace. Fun tip: Add a gun to travel. Buy a really good hard case for your drone when you are hopping on a plane, add a starter gun, with blanks. Please stick to non-lethal ammunition, but the TSA still treats it as though it’s a danger. They search and lock down your case, and it remains locked until you pick it up on the other end. Know the laws, of course, but a useful tip. What kind of music are you using? An easy way to consider how you are going to want to fly, consider how high-energy you want your final output. Myself, I frequently fly slow to get crisp clean footage, but then I also often have to double the speed my footage when I create videos for you. That’s not always ideal. Where you choose to fly for a video shoot, you may get the pleasure of having a closed set. This allows you to mark your area, safe zones for people to walk and such. Remember, you cannot fly over top of people. Folks directly involved in the flight of the operation can be under the drone, and you may apply for an FAA waiver for more, but without these things, do not fly over people. It is a good idea to walk your area, know your obstacles and potential wind turbulence factors. Identify safe places for people, if needed, and then look for factors for your videography itself such as shadows. If you are like me, however, you’ll be flying alone, or with one or two people, off in an empty area. I’m usually just getting shots of a mountain or a lake, keeping it simple and making it possible to not perform many of the high-risk mitigation tasks above. Announcements are important. I’m talking about two things here. First, putting up signs in the flight area, maybe even sending notices to neighbors. Second, your actual operations should be announced. “Clear” “Taking off” “Coming in” “Landing” and such. Did you know, the FAA says you have to track your drone maintenance for commercial drones? More important, charging your batteries is a part of your maintenance schedule — you have to track your battery charges. Now to the hardware. 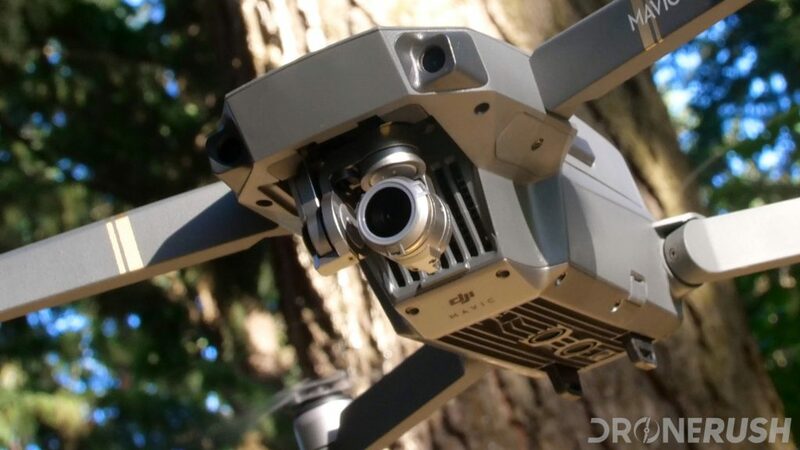 Your consumer drone at home, even if you already have the new DJI Mavic 2 Pro, has just one lens. 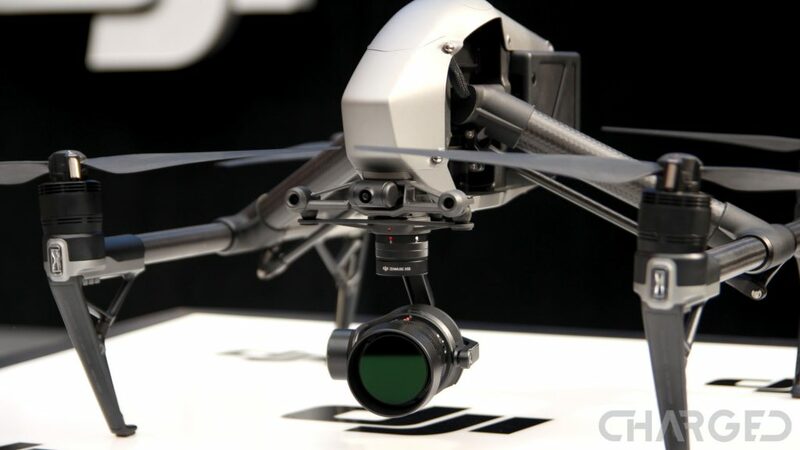 Many higher-end drones have interchangeable lenses, or cameras. You need to choose your gear wisely. The biggest thing about lenses, they offer different focal lengths, or zoom levels. 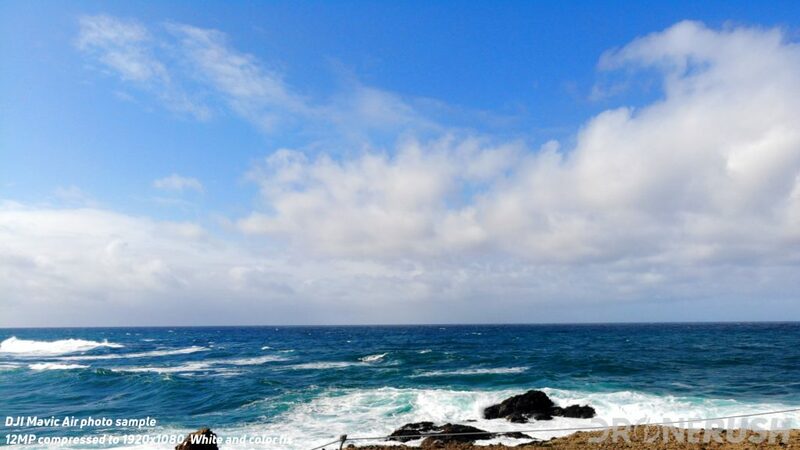 A wide angle lens may catch a propeller in the corner, a large zoom level may make it hard to get everything in frame. ND filters are powerful options for any lens. They help balance light levels, and can make colors pop. If used correctly. Remember, buy glass lenses. Plastic can work, but there is no substitute to good quality glass. Hollywood generally produces movies at 24fps. Douglas recommends not using 24p. He recommends that you shoot at the highest framerate possible from your drone, which is probably 30 fps or 60fps. Myself, I almost always shoot at 30fps, this is because I produce my videos for you at 30fps. This eliminates any jerkiness in my final output. The 60fps rate is, theoretically, easily down-converted to slower framerates, my software disagrees, but you should give yours a try. Does your drone shoot 120fps? 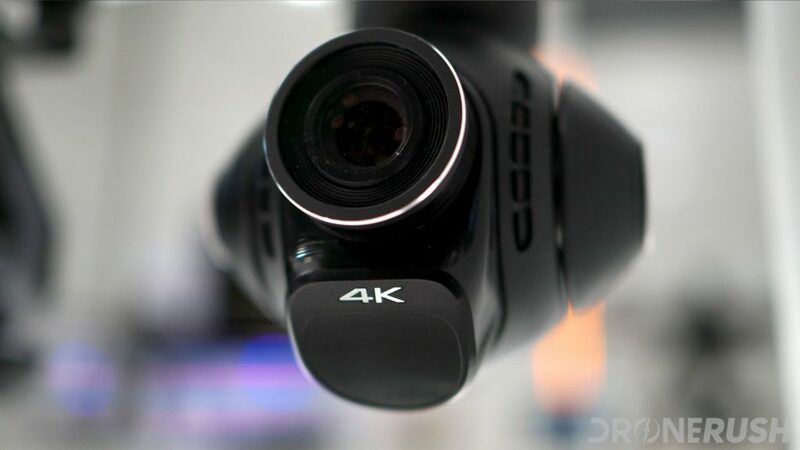 That’s great for slow motion capture, but usually does not use the full resolution of your sensor. Be sure to match your resolution and framerates. Shutter speed also changes how much light is let into the sensor. A slower shutter speed is usually used in lower light, but requires the drone to remain perfectly still while it shoots. Balance this with ISO, we’ll save the ISO discussion for the camera blogs, and for another day, but for now, know that your ISO level will affect the amount of noise in your lower light photos. Additionally, a darker ND filter allows for longer shutter speeds to get the right image. A balance to consider carefully. Polarizer filters are another layer to consider. Depending on your chosen filter, it controls what light is able to get through to your camera. You may have experienced this with sunglasses and your phone screen, when the polarization lines up, you cannot see your phone screen. Combining it all, the Polarizer can limit light flares (and amount of light,) the ND filter can help balance the amount of light that comes through, helping the colors pop. The app PolarPro can scan an area and help recommend a filter for your scene. It’s pretty solid, and combines known hardware for some popular drones to make sure to match to the camera. Douglas took a moment to emphasis that a few basic flight techniques can handle almost all of your drone video needs. He spent just a moment explaining each technique below, then started quickly into combining them together. 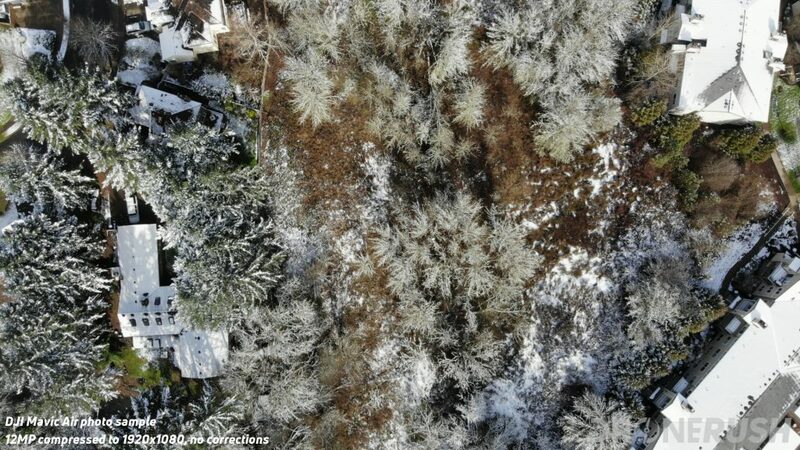 One of the leading causes of lost drone footage is jerkiness. A smooth operator gets to be good from practice. Hint, hint. More important, take a moment before you start and after you finish a given shot before you react, give your video some breathing room to edit afterwards. Hover – Yes, just keep the drone in spot in the air. God’s Eye – Camera pointing straight down. Consider using this with upward or downward movement to reveal the area, and maybe spin a little to add some depth. Pedastle – Camera forward, start at the bottom of a tall object and raise straight up to view the rest of the object. A little bit of camera angle change, even active change on the fly, can give a new feel. Reveals – Start with your subject barely in frame, or out of frame altogether, then move the drone so that your subject is fully revealed. This can be a simple matter of flying out from behind a wall or raising up from the ground and spinning a little. Pushes – Fly toward your subject. A neat way to see your entire area, then effectively zoom in on your subject. Dolly shots – While we are now thinking about dolly in terms of the DollyZoom with the DJI Mavic 2 Zoom, but Douglas considers most any smooth straight line operation to be a dolly shot. Flying sideways is a fun way to create a dolly shot, a great way to scan a mountain or building side, or run along the beach. Reverse flight – Flying your drone backward is a fun way to reveal an area or object. It helps you view your subject and then it reveals the magnitude of the area. A fun technique is to fly backward with the camera facing downward, then raise the gimbal slowly, match the speed of the movement, so that the center of your image remains in the center as you fly away. If you raise as you fly in reverse, well, that’s what DJI Quickshot calls a Dronie. Panning – Simple, spin your drone. Orbits – Circling around an object, turning the drone to keep the object in frame. Combine with various other techniques to add depth. Tracking – Also simple, if your subject is moving, moving along with them. This is not, necessarily a standalone techniques, you’ll need to use some or all of the above flights to keep the object in the shot. Ground rush – A fun video is to fly low to the ground straight toward the subject. Great if there is tufts of grass or other items that catch the eye. Even at slower speeds, this looks like a rush. While there is room to combine a number of these flight techniques in one video, it is more important and efficient to plan your flight around these shots. If you can arrange so that one shot finishes in a position that is ideal to start the next shot, perfect. Try to avoid having to fly long distances in between shots. Remember, with our fun drones at home, we are pilot and camera operator. When you step things up to a professional operation, there is a good chance you will either be the pilot or the camera operator. Drones like the DJI Inspire 2 enjoy this option, but you can enjoy some simple two operator fun combining the DJI Goggles with a compatible drone. Do you need it? If you are shooting video for a client, they may want the photos and video as is. 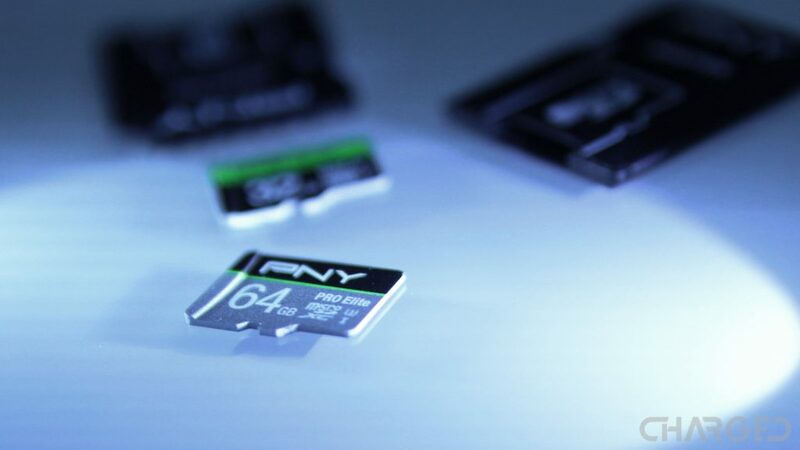 Hand over your microSD card and call it a day. Nice and easy. Likely, however, you will be editing your own into a completed video. There are free applications out there, but you’re probably going to want a paid program such as Adobe Premiere Pro, Sony Vegas Pro and more. Workflow is key to your process. Start by making transfers and backups of your data. My habit is to keep the files on my microSD card until my project is complete, I put all the files onto a backup drive and then I have my operating copy of the files on my computer. You’ll find your groove and choose your redundancy level based on the projects you do. 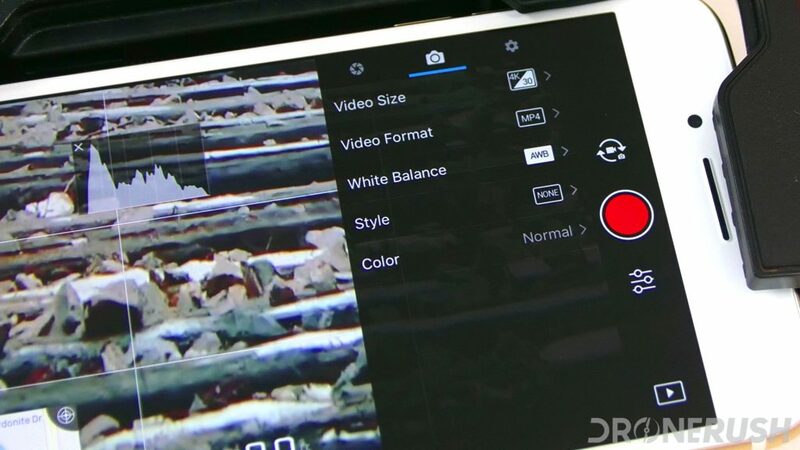 While you are editing, be sure to do some white balancing, color correcting and more, as needed. Less is more, sometimes, so try only bumping the contrast 1 or 2 points up to make things crisper, or down to clear some fogginess in your shot. That’s it. Douglas spent a good amount of time during the day answering some questions from the crowd. Ranging from legal to actual how-to, the questions and answers were informative. One major takeaway was the fact that for most drone videography, there is little automation. Learn how to fly your craft. Certainly, automation is invaluable for things like mapping and surveying, but for the movies, manual piloting is key. Specifically, we’re talking ATTI mode on most drones, which keeps the machine upright, just doesn’t lock it to a specific GPS location. It will drift in the wind, but it will hover in place otherwise. Let us know if you use any of these techniques to better your drone videos, even share a link, we’re always fans of great drone shots! Stay tuned for plenty more coverage from InterDrone 2018, we’re just getting started.